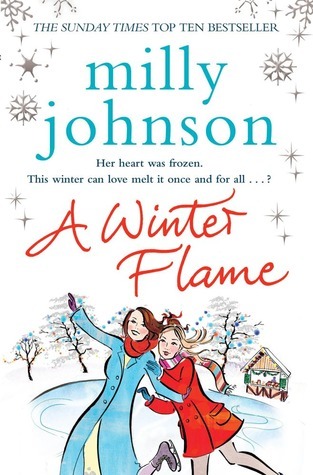 It's not that I was completely disappointed by Johnson`s latest novel because I found the plot line to be unique (not many books out there centre on the combined inheritance with a stranger of a partially completely winter wonderland theme park) but I really wish I`d been interested in the main character or felt some warmth towards her- it would have really improved my read. Eve is quite emotionally stilted because of her history - although as we make our way through the novel I suppose one cannot blame her for being wary- but it was difficult to believe in her intense distrust of Jacques (the other beneficiary). She takes her lack of trust to a level I just couldn't get on board with. For that reason I appreciated Eve’s cousin Violet so much more- she was warm and all-embracing and although she had her own reasons for distrusting men you could still feel she wanted to believe that love was possible for her again. Unfortunately I wanted to invite Violet to the party and forget to send Eve’s invitation. The building of the winter/Christmas theme park was fun and this aspect of A Winter Flame was inviting. I loved the planning, the chaos and particularly the animals involved in the build. Jacques was fabulous and charming and served to point out Eve’s reluctance to enjoy life even more- he had endless patience. This lack of warmth for Eve made A Winter Flame a bit difficult to embrace but I still feel Milly Johnson forms a well written story and has an affinity to put characters together with a good plot line. I just didn’t connect with this leading lady. Thank you to Simon and Schuster UK for our review copy. All opinions are our own.